Formed in caves as stalactites and stalagmites drip to form the precious stone, onyx is not as easily extracted as other slabs. 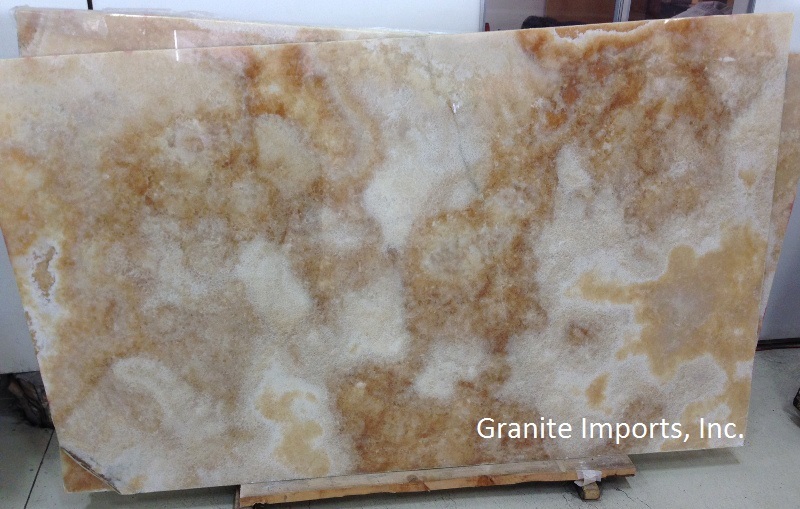 Unlike the hardness of granite, onyx is fragile, and quarried in smaller slabs out of necessity from a variety of regions, including Afghanistan, China, Ecuador, Guatemala, Iran, Morocco, Pakistan, Peru, Tanzania, Turkey, and more locally from Mexico and Arizona. Every single piece of onyx is unique, its beauty made all the more vivid when backlighting is used to illuminate the slab. Unique patterns and veining turn each piece into a work of art. Variety abounds, with hues ranging from light to dark, neutral to pastels. Overall, onyx is the material of choice for those yearning to make an impact. 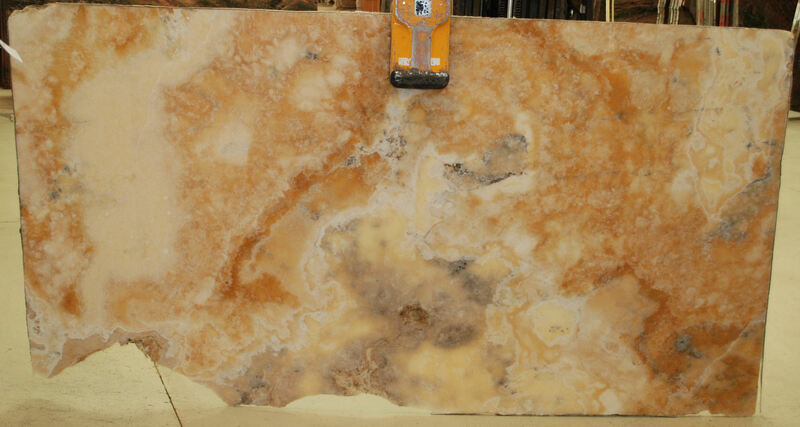 Onyx makes a dramatic backlit backsplash or bar top, and striking natural wall or tabletop art. It is occasionally used as a bath or kitchen countertop, but is best used in applications that will not experience a great deal of abuse. Fiberglass mesh backing is necessary to hold the stone together, indicating its fragility. Calcium-based, acid containing foods can etch the surface of the stone, which can also easily become marked by knives, pots and pans. Regular sealing is a must. If used in high-traffic areas, expect periodic refinishing. Onyx surfaces require attentive care. Those looking for easy maintenance, or families with children should consider an onyx purchase carefully. Though it is safe to wipe down onyx with a soft sponge and warm soapy water, spills on onyx must be quickly mopped up and sealing maintenance regimens closely followed to safeguard the lifespan of this stunning stone. Searching for something exceptional? No matter the application, we can help you find the perfect stone solution for your décor and lifestyle. Step beyond the usual. Shop the premium stone selection at your area Granite Imports today.